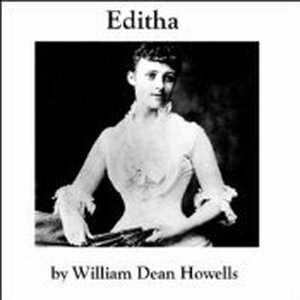 A variety of psychological aspects present themselves throughout the story of Editha. The young girl Edith is of id psychological type (Frankland, 2000). She harbors a primitive impulse as seen by her instant desire for gratification. She has an unrestrained love for war. She keeps compelling her engaged boyfriend, George, to go for war as a sign of patriotism for his country. She even writes a goodbye letter saying she is ready to break her engagement with George if he can’t show his love for the country by going to war. She presses on with her desire without consideration of the reality that war is dangerous to human life as seen by George’s father losing his arm in the war. Some actions lead us to conclude that she acts out of unconscious mind. When George tells her that there is a war, she says, “how glorious.” Her remarks are surprising as George perceives war as dangerous. The story also portrays George to be in the pre-oedipal stage by his phantasy of going to dangerous places such as war. The story also reveals the intrigues of family life such as psychological conflicts. The writer also exposes the fragility of the search for sexual identity and love through Editha and George. Editha believed that the only way that George could prove his love for her was by loving his country the way she did (Howells & Harper & Brothers, 1907). The society of the time expected men to be stronger and more influential than women. George unconsciously decided to enlist for war since he made the decision after taking several drinks, defying the advice of his mother, Gearson, and father. This was in a bid to please Editha and demonstrate his love for her. The story portrays a great sence of psychological conflict between the desire of George and his parents to avoid going to war and the desire of Editha that George goes to war. The story also portrays a great sense of guilt on Editha when George goes to war and is killed. Another psychological aspect is the realism that characterizes the short story (Mijolla, A. & Thomson G. 2005). George presents his true feelings about the war when he says he never thought he could pleasure in killing a man, but at the time she signed to go for war, she said she should not care. She said the smokeless powder allowed a soldier to see the man he killed drop. This also helped to portray the American values. Realism is portrayed throughout the short story when George resists enlisting until mob-mentality persuades him after a drinking spree. In support of this, George said that it was headed one way; he thought he could discourage them. Though, he could not do it with a group of friends that adored him. For that reason, he decided to volunteer on the spot. He said that a worse reason looks well when one tries to express it as better. George later confesses to Editha that he signed up because he was drunk. Realism helps to explain how the society shapes the characters and convey life’s evil and good aspects. Howells, W. D., & Harper & Brothers. (1907). Between the dark and the daylight: Romances. New York: Harper & Brothers Publishers. Frankland, G. (2000). Freud's literary culture. Cambridge, UK: Cambridge University Press.